After IT giants Microsoft and Google, will Twitter appoint an Indian at its helm? According to a Bloomberg report, Twitter has been in talks with India-born Padmasree Warrior among others. Padmasree Warrior was ranked as one of four rising stars on Fortune magazine's Most Powerful Women list. Warrior who left India with just $100 and a one-way ticket, believes a leader has to have ‘a vision of where we want to go and take bold and tough decisions’. It has been three months since Twitter started its hunt for a new chief executive officer. Other names doing the rounds are that of co-founder Jack Dorsey, Jim Lanzone, who joined CBS Interactive as president and CEO in 2011 and Adam Bain, president, Global Revenue & Partnerships, Twitter. While Jack Dorsey is the interim CEO, the uncertainty in its leadership has hit the company stock which has fallen by over 20 per cent in the last 3 months. 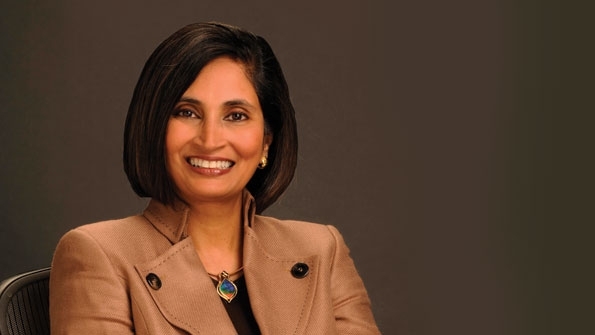 Padmasree Warrior had quit as chief technology officer at Cisco after a significant restructuring of top management under new CEO Chuck Robbins. Warrior, an alumnus of the IIT-Delhi and Cornell University, was ranked 84th in this year's Forbes list of 100 Most Powerful Women in the world. She is a member of the Board of Trustees for Cornell University and serves on the Gap board of directors.